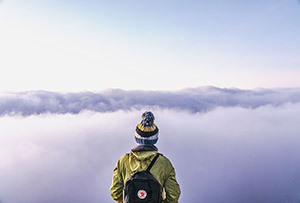 Choosing the domain name is an important step in the early stages of any type of website or blog, but it can be a big challenge with so many domains already registered. Personally, I really struggle to come up with possible domain names for my sites, and I know I am not alone. One of my go-to resources over the past several years has been this list of domain name prefixes and suffixes compiled by Daniel Scocco. I’ve used this list to brainstorm possibilities for many different sites and over the years I have added many other words to create my own list that I also use. Daniel’s list was published almost 9 years ago, and so I decided to publish my own list of domain name suffixes and prefixes in this post. You hear a lot about traffic, but not as much about leads. But the truth is, leads are what people are really after – we just don’t express it that way. There’s an assumption that traffic will just naturally convert to leads, but that isn’t always the case. And what if you don’t have traffic, but want to generate leads for your business today? In that case, you have to pursue other avenues. 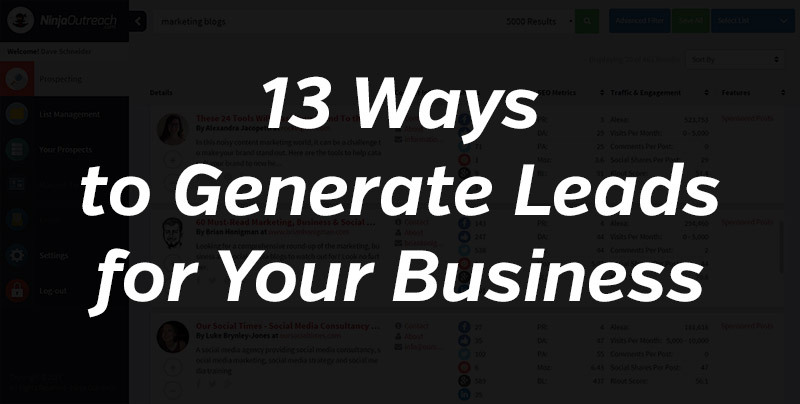 I’m going to be covering 13 different ways to generate leads for your business, many of which are free, simple, and can be started now. One of the biggest challenges in internet marketing is knowing where to focus and how to use your available time, effort, and money for maximum impact. There are countless different ways that you can go about making money online or promoting your website or blog. The problem is that there are so many possibilities and ideas that most people tend to bounce from one to the next before ever having success. In order to succeed you’ll need to focus long enough to put in the necessary effort and time for any approach to work. What I love about detailed case studies is that you can see the steps taken by someone else, and what they were able to achieve with their approach. Staying focused in your own work can be a lot easier when you are basing your steps off of a plan laid out by someone else, when you can see that the plan worked for them. In this post I’ve collected a wide variety of cases studies from different blogs that I think will be very interested and practical for you. Browse through the case studies listed here and I’m sure you’ll find something that you can put into practice to improve your own business or website. An effective approach to social media marketing can result in floods of traffic to a website or blog. So it is no surprise that most bloggers and marketers place a priority on social media. If you’re not using social media effectively and efficiently you can wind up wasting hours of your time. In order to make the best use of your time you should take advantage of the many tools and resources available that can help you in various ways. In this blog post I’ll highlight more than 75 resources that can help you to get more out of your own social media marketing efforts.